We offer Barber-Colman temperature control, Yokogawa process control, electric heaters, Partlow circular chart recorders, thermocouples, recorders, SCR power controllers and instrument repair. 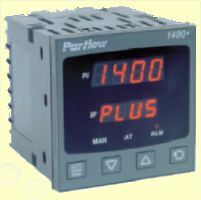 We offer Control Concepts SCR Power, Balluff position transducers, process, thermocouple, actuator, calibration. We market electric, Barber,Colman, Yokogawa, Partlow, Exergen, Payne, installation. We service inventory, System, repair, service, stock, heater, MACO, NIST, power, RTD, SCR, solid, state, limitrol, logger, relay, analog, blow, carbon potential, carburizing, Chino, Recorder, conditioner, Concept, data, design, engineer, extrusion, fuzzy, hardness. We feature heat, treat, infrared, injection, integration, ISI, logic, M-System, melt, mercury, molding, panel, PID, portable, pressure, Protection, Reserve, flame. We repair safeguard, scanner, signal, tester, tube, turnkey, Western, zero-cross, West, Balluff, Eurotherm, Halmar, Honeywell, humidity, proportional, Robicon, Stromquist, Super, transducer, tuning, www.mcgoff-bethune.com, 4-20, Absolute, acquisition, API, automation, barbara, boiler, CAD, calibrate. We install calibrator, CE, certification, Chart, dew point, extruder, furnace, indicator, Industrial, instrument, instrumentation, integrator, IRt/c, kiln, loop, measurement, meter, plastic, Precision, probe, project, relative, sensor, Startup, transmitter. We provide furnace surveys in compliance with AMS 2750C.